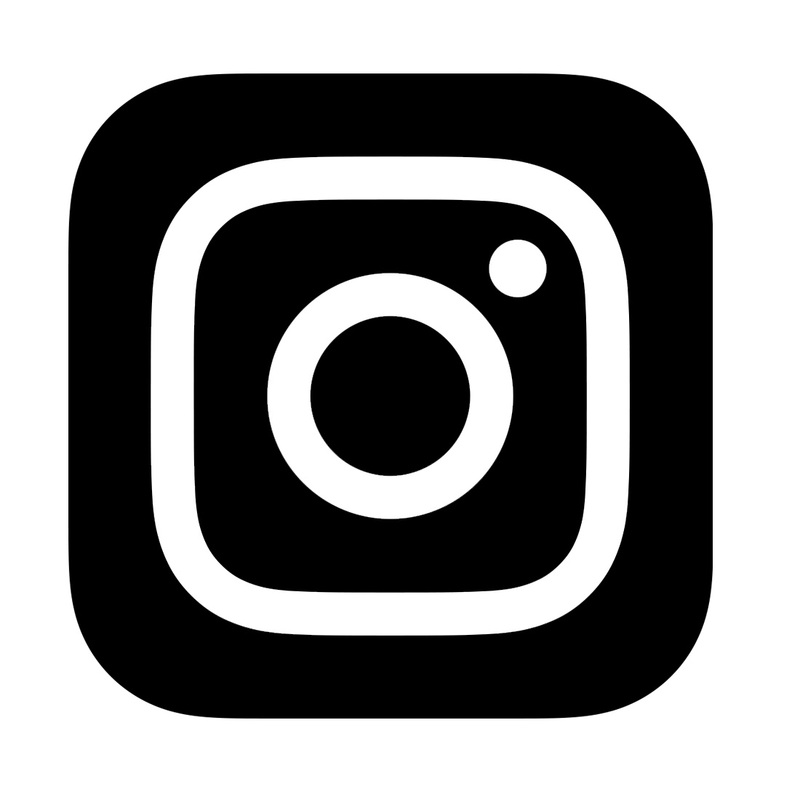 Picture the moment you want to show someone photos of an adorable baby in your life but all you have are a million blurry photos on your phone...and your phone is dead. We have a solution. 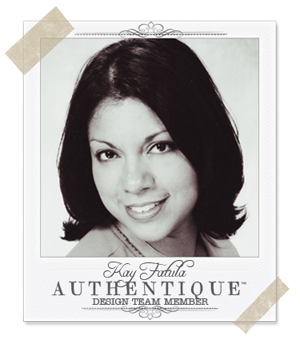 Authentique Paper Design Team member, Kay Futula, is an expert in creating beautiful mini albums. 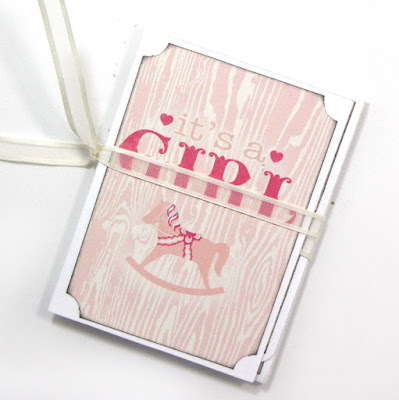 For this mini, she's used our new "Cuddle" collection. Without further adieu, here's Kay! Lately I've been on a mini album kick--and when I say mini...I mean 'mini'. I'm targeting albums designed to hold wallet sized photos & maybe even smaller! I wanted the overall size to be about 3x4" so the 6x6 "bundle" paper pad and 3x4 Authentic Life Cards from Authentique Paper's new "Cuddle" collection were perfect for the project I had in mind! With this smaller size album in mind, I searched online for inspiration. I stumbled upon a video tutorial in French. I half-understood what the lady in the video was saying; (I took French in college, but since my college days were about 100 years ago, I'm very rusty in my understanding) however, I was able to follow what she was doing in the video and created my own version of this simple mini. If you're interested in the video tutorial I found, you can find it here. This mini may be small but it can pack a punch! The album itself measures 3" x 4" inches when folded closed and it can hold up to 12 wallet-sized photos measuring 2" x 3" inches. 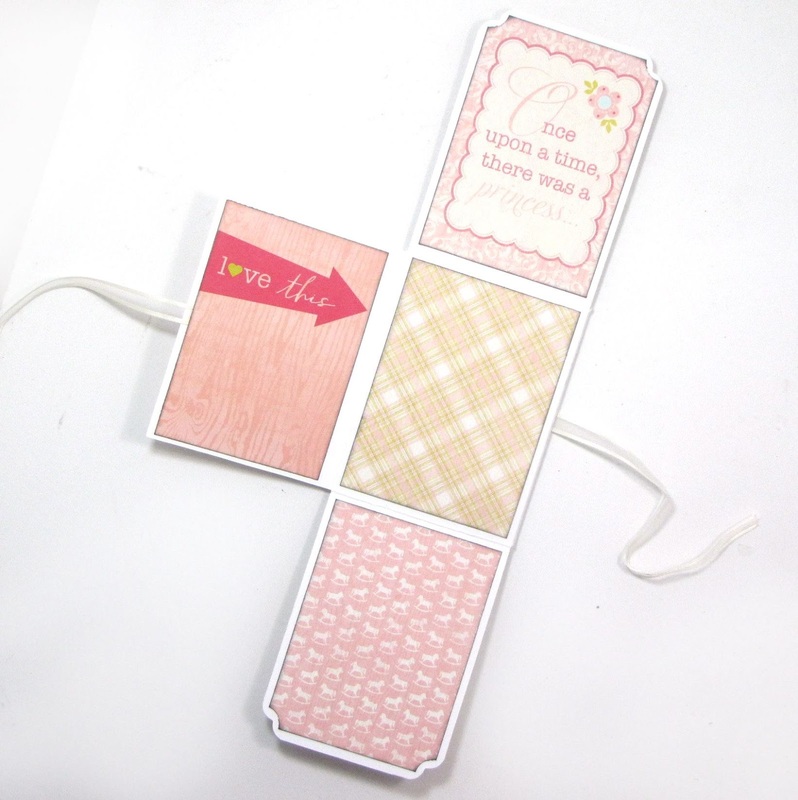 For a soft and sweet finishing touch, I've used ribbon as the closure to the album. 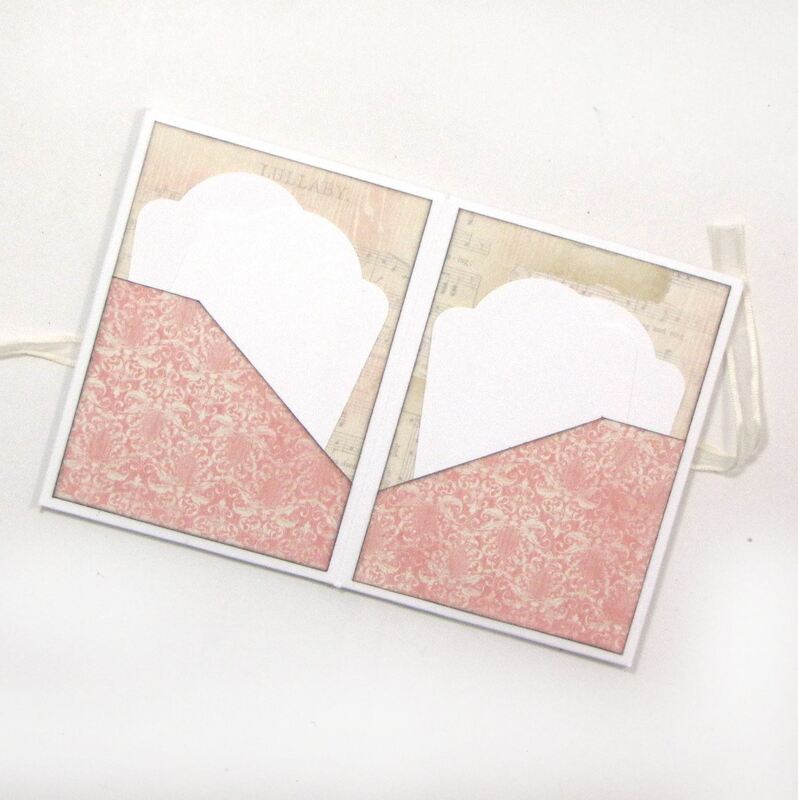 The mini has several flips & folds revealing several photo mats and I've created two center pockets to hold journaling tags. In the video above, the pockets do not exist...this was just one of my own additions to this mini. 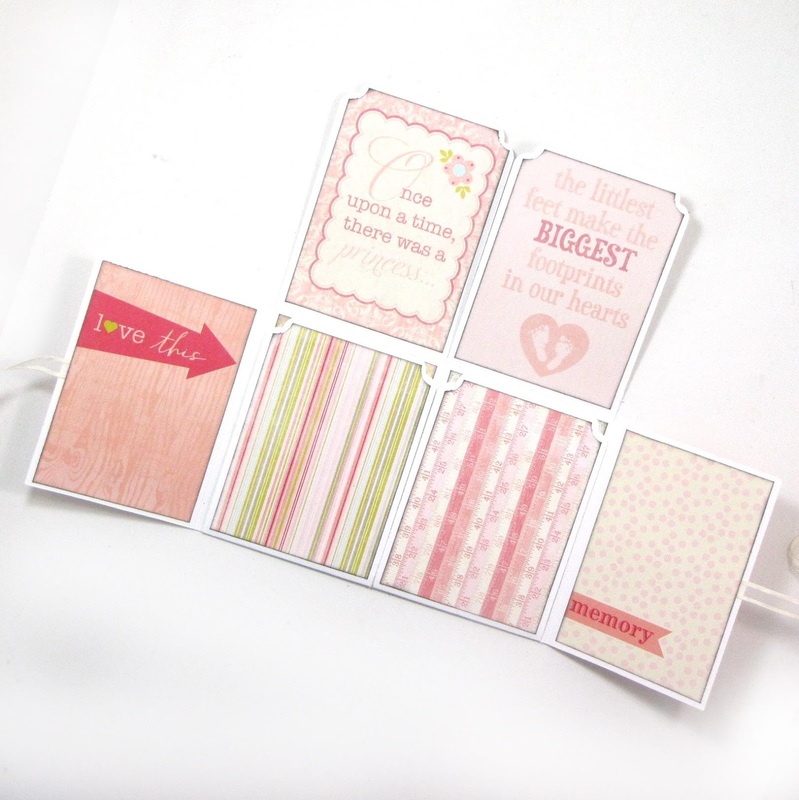 I used the Authentic Life Cards from the Cuddle collection for matting a few of the photo spots. 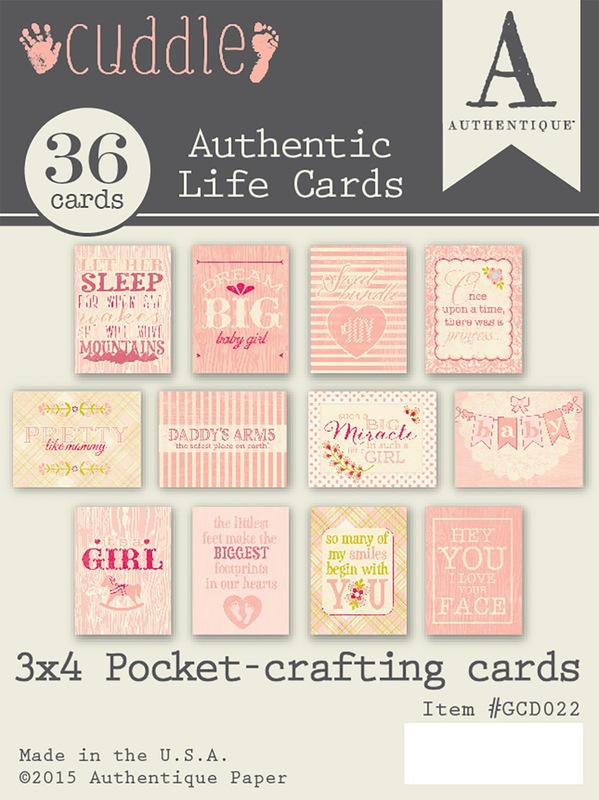 The Life Cards have changed a bit with Authentique Paper's newer collections. 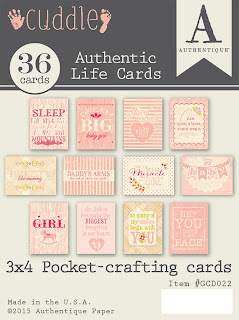 The front of the Life Cards are the same as the Enhancements cut-a-part paper, but on the back of the Life Cards, Authentique has now added unique journaling designs, quotes & or phrases. I've provided a quick video to show how the mini folds out - it's hard to photograph all the different ways this mini can flip & fold...you can just keep flipping to show your photos or you can completely open the mini & lay it out flat to display all photos at once...the choice is yours. To view all of the products in the Cuddle collection, click HERE. 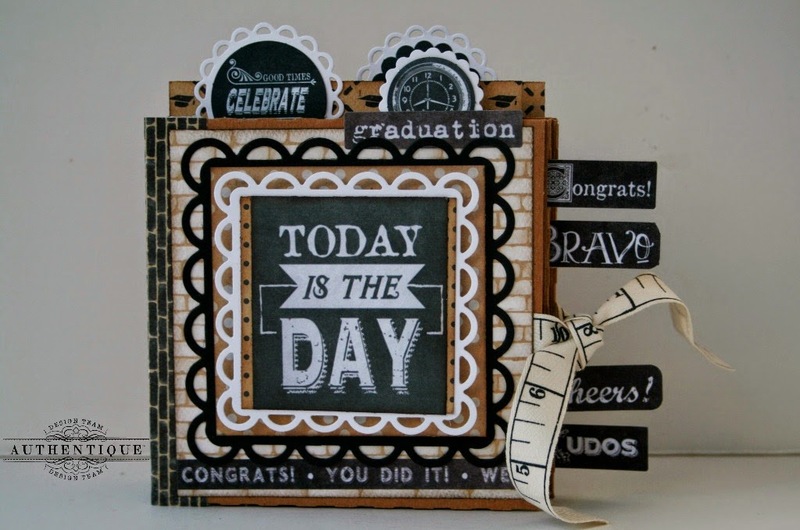 To purchase, visit your local scrapbook store or shop one of our valued retail partner's websites. 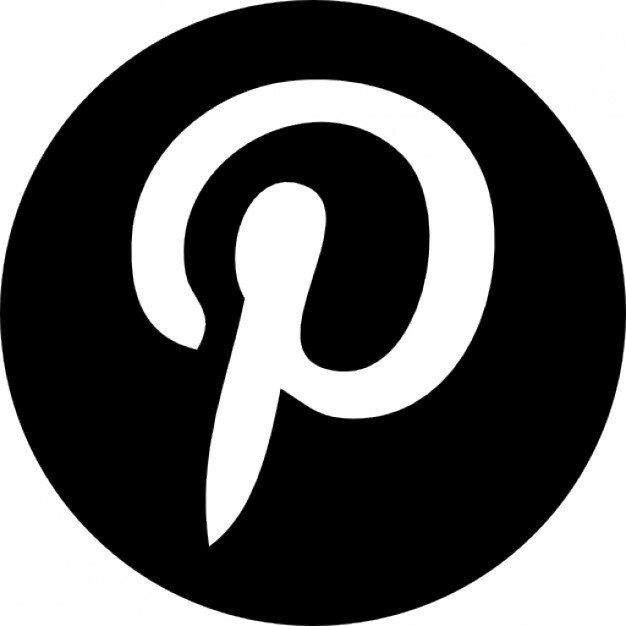 (click the company name below and it will direct you to their site) This is not a complete list of online retailers. I really like the album. It's very convenient. I also love the collection of course. 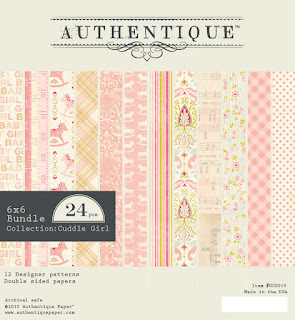 Authentique all the way! Love this! Now I need a tutorial. Totally adorable! Thanks for the video. 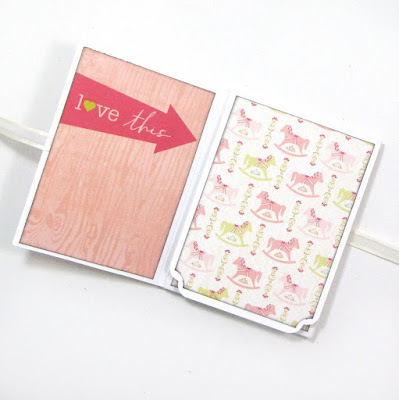 Kay, you are so clever and love your little brag book idea with phone pics!! Need one for a boy right now!! Use the &'Faves Deck&' to set aside your favorite facts.http://parfum-sell.ru/sports/fps-creator-model-pack-53.php It's fun to create ringtones and more fun when your phone rings.